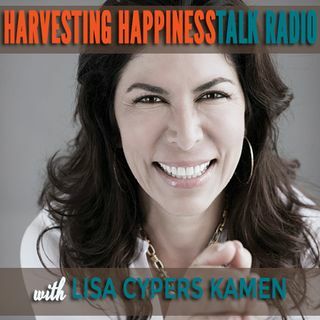 Lisa Cypers Kamen brings a fresh talk radio approach promoting happiness, well-being and global human flourishing. Harvesting Happiness Talk Radio will be a fresh talk radio approach promoting happiness, well-being and global human flourishing by presenting a diverse and proactive collection of the greatest thinkers and doers who have devoted their lives to creating a better world in which to live. Harvesting Happiness with Lisa Cypers Kamen brings ... Maggiori informazioni to the airwaves a fresh talk radio approach promoting happiness, well-being and global human flourishing by presenting a diverse and proactive collection of the greatest thinkers and doers who have devoted their lives to creating a better world in which to live.